A man does his part to help rebuild his community…. 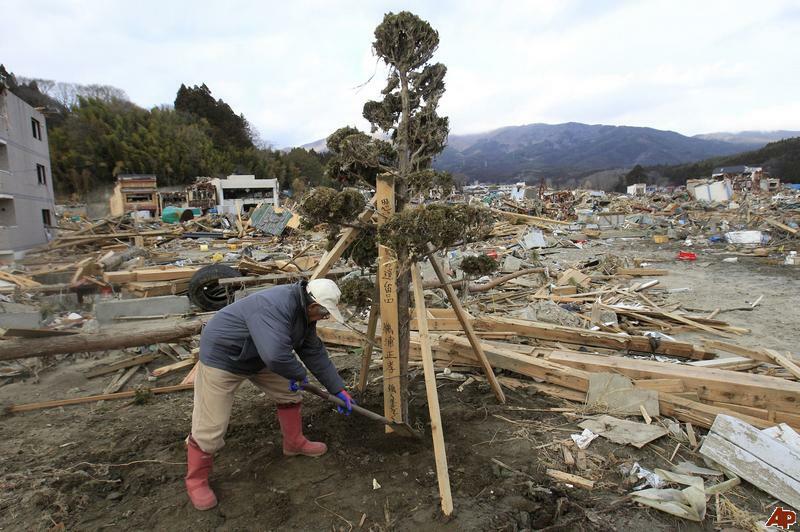 With so many issues worldwide it is easy to forget about the recent Japanese disaster or think that things are progressing bringing a sense of normalcy to the victims of north east Japan. Here is an update as of today April 21st to put things into perspective. Approximately 18 thousand lives have been lost….. Approximately 14 thousand people are missing. That means that their bodies have yet to be recovered and most likely never will be…..
Today, approximately 134 thousand people are living in shelters… That is the amount of people that lived in my hometown of Eugene Oregon when I was young. People may not have a clear picture of what that means. The shelters are typically gyms or warehouses that have been procured to house from between 100 to 500 people on the average. There are no rooms, no walls, no privacy, no furniture, no space to call your own, lit 24 hours a day with limited food and water….. A very difficult existence at best. There is no place for the people in the shelters. There is simply no place for these people to go. Construction of temporary housing that we would consider livable will start within a month or so but the majority of these victims will be homeless for up to a year. The Red Cross are not feeding these people. The local governments have just recently begun to get minimal food out to the shelters. But not near enough. Official relief activities are beginning to move but for the past month these people have been almost exclusively fed by volunteer driven groups like Kozmoz, Peace Boat and Second Harvest Japan collecting food from individuals and manufacturers and delivering them to shelters and ad hoc distribution points in their own trucks. And on top of everything else, 3 partially melted down reactors sit within the disaster zone adding health risks and uncertainty. Today the Asahi News reported that radioactive iodine and cesium have been detected in breast milk from victims….. The needs are great and will not be eased anytime soon regardless of what we see on the evening news….